Vigorous perennial clematis with glaucous grey foliage. 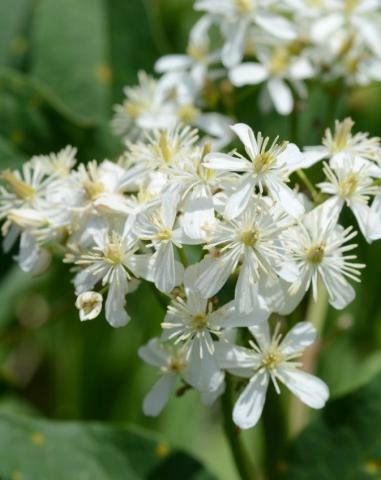 Clouds of scented four petaled white scented flowers, June to August. Stunning fluffy seed heads in the autumn. Sun or semi shade. 1.2m tall. Loved by bees. Cut down in winter to the ground.